After designing the logo and branding for brand new division of Dante. 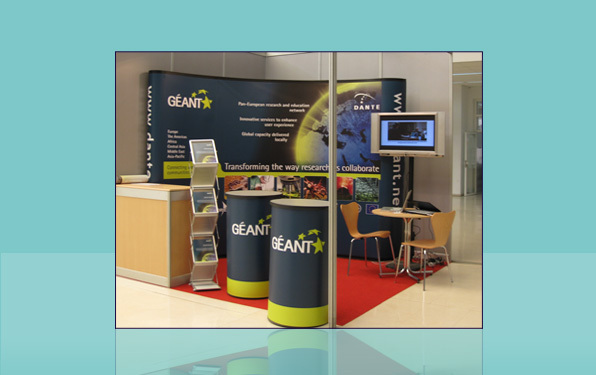 We were requested to produce a display stand for the new Geant network. 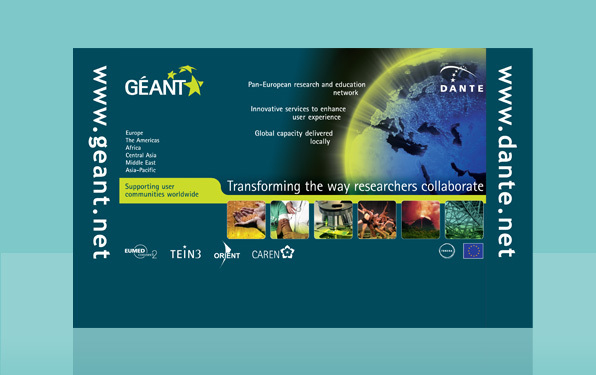 The logo and overall pop-up design, needed to fit within the rest of the existing Dante branding. Click here to see a PDF version of the artwork.